The first Card Set from School Bites! 16 baseball sized School ID cards have name-class & Birthday of the main characters in School Bites. 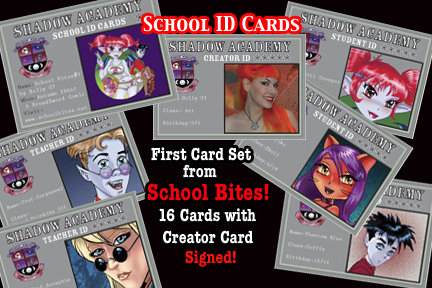 Set also has Teacher cards and Signed Creator Card!